Nearly 10 years into the Austerity and the world is starting to change. I can remember a time not that long ago that the BMC was wondering what it should do with all the money it had in its banks with a near £1 million bank balance. Ten years on and they are starting to look like they are falling on hard times. Although with 80% of the funding coming from membership subscriptions which are staying reasonably level since they got most of us to sign up onto direct debit. That only leaves 20% of the funding from Sport England, which is somewhere in the region of £120000 according to the forecast figures the BMC published in their discussion paper on the subject. “BMC work is financed primarily by membership subscriptions, travel insurance and Sport England funding. Typically 20% of our revenue – for work such as youth development and competitions – comes from Sport England funding. With the goals and requirements of Sport England changing some or all of this funding may be cut.” – Simon Lee – BMC Commercial Partnership Manager. The question many are asking is, whether that is a step too far and whether the BMC even needs to go down this road at all. To me, this reads like modern political posturing, by using skewed figures and well-worded polls to influence the answers, like the lies put to us by the Leave Campaign during the Brexit referendum. As nowhere else in the BMC literature I have seen that the drop in funding was 40%. It is twice as much as what they have stated on what I have read. Similarly there seems little evidence that the ‘core services’ like access and conservation were threatened when you read other documents. The same polling questionnaire suggested that the the deal would be for “partner of choice” status not the “recommended clothing and pack partner”. Whilst these are subtle differences in language like using the lovely fluffy term ‘affinity’ partnership when in reality what you actually mean is a much more emotion stirring corporate partnership. The BMC have likely walked along a double-edged sword, as those specialist retailers like Outside, V12, Joe Browns and Rock & Run simply don’t make enough money to prop up the BMC with the financial support that they need. So were they even in the race? Perhaps the issue then is of the BMC getting into bed with the wrong partners for the right money, simply turns them into a pimp, whoring out their 85000 plus members email addressed for a quick buck that is most upsetting to some of its membership. As members are now seemingly bombarded with a stream of ‘marketing’ emails whereas 6 months ago the frequency at least seemed less and the scope was much more ‘informative’. It does, of course, work the other way around with the AS Adventure Group having a mailing list of approaching a quarter of a million people, to get just a fraction of them as extra members to the BMC would alleviate the BMC cashflow problem further through the added subs. This of course is the whole point of the affinity partnerships, a kind of symbiotic relationship between usually a charity and a business, which is interested in developing both a stronger and/or warmer profile in that market segment and of course more profit. How an organisation manages these relationships is just as interesting as the BMC named a lot of organisations who have had affinity partnerships, telling us they have been doing it years. Look at the National Trust’s homepage and the way they manage it is not a public display of affection to the company, as their is no sign they are propped up by a corporate partner with only the national trusts logo in sight. The same goes for the Duke of Edinburgh awards. Whilst British Cycling touts HSBC, the Scouts has more partners than I could name and the Ramblers again have Cotswold and promote a single holiday company who are allowed to use their logo and name. With the exception of the Scouts, there is little sign of a deal that stretches outside of a retailer choice. The potential unexpected consequence of naming a retailer of choice is the inevitable kick in the teeth to the smaller retailers who have until recently helped the BMC by advertising in Summit Magazine, the BMC website, and much more importantly by supporting the local areas they are based in by sponsoring local events that essentially make up the parts of the BMC that most climbers actually engage with. In a way, I wonder whether the BMC has cut its nose off to spite its face. We come from the generation who were told to think globally but act locally. The BMC was a great proponent of this through the regional areas, so if you engaged with them meant you could have an effect on the global direction of the BMC. It is this turning their backs of the organisations that prop up those local areas that I am most concerned with in these big national deals. This worry is backed up by the former Development Officer who negotiated gear deals for The Association of Mountaineering Instructors and from his experience, he suggested at an area meeting that it’s much better to get good deals with smaller retailers than to focus on gear deals with individual companies. Suggesting that the BMC has entered a grey area by doing a deal with the big retailers of Cotswold and Snow & Rock, but the one with Montane is a mistake and it will upset the retailers, who are having a hard enough time already. That Montane deal has backfired as well, the company started to offer direct sales to BMC members. Obviously, they can undercut every outdoor store and clothing brand with this tactic. It was a potential disruption of the status quo and re-defining moment for outdoor retail. What happened next though was strange. Firstly Berghaus pulled out of sponsoring the Winter Lecture series, quite possibly as a direct result of the BMC actions with Montane. The murmuring around the industry was of shock and disgust, it led eventually to a U-turn by Montane and the BMC, with the following statement from Terry Stephenson, Head of Marketing at Montane. The BMC has undoubtedly been going through some tough times and the whole paradigm of how they fund their work is being turned on its head. 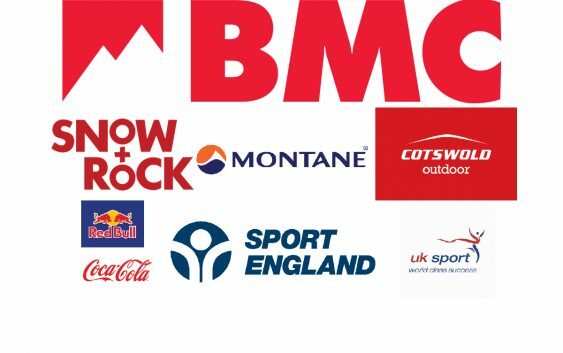 The path of corporate sponsorship through retail, equipment, clothing and mapping partnerships is one way that the BMC is starting to address this shortage and may well herald the answer to the loss of hundreds of thousands of pounds in lost revenue. It is a brave new world that we are entering into when it comes to funding the development of our sport. Maybe there will be bigger questions for the BMC and its member as to what we fund and what we choose to let fall by the wayside. This debate has already been around with the likes of Doug Scott trying to topple the BMC because he effectively wanted to be rid of the competition side of BMC work. Which ultimately failed because of the membership choosing that it was worth funding that area. After all, the youth are the members of the future. The question then is how else could the BMC raise funds without the need of going down the road of corporate sponsorship. Especially when it comes to technical climbing equipment as I fear having the BMC publicly say they ‘recommend’ a brand of technical equipment may well distort an already narrow market. Given they are looking for a UK manufacturer meaning that the choice would essentially come down to Wild Country or DMM. Could either not afford to be the recommended gear manufacturer, what if neither wanted it and instead Black Diamond or Petzl stepped in. How would this undermine the UK gear industry? Since November the BMC has gone quiet on announcing more affinity partners. Other climbing orientated organisation with links to the BMC and Sport England are also tightening their purse string and looking to other sources of income. Mountain Training, who are in essence the training wing of the BMC whose primary role has been teaching people to be instructors. They have recently branched out into offering skills courses for individual hillwalker, with plans to develop them for climbers next year. This is in part no doubt an attempt to strengthen their revenue stream as well as have another metric to show Sport England that they are increasing participation. As not only does a ‘hillskills’ walker have to pay to register on the Mountain Training Hill or Mountain Skills course, they then need to attend an endorsed course for which the provider also pays Mountain Training. The unforeseen consequence of this is that I have already seen at least one website and Facebook business offering guided walks with the ‘hillskills’ qualified guide. Despite the fact that the course is by no means a qualification to lead in the mountains or hills, just a certificate of personal competence. Which in itself is a questionable road to walk down, as how long before people insist on seeing your certificate on competence before you head to the cliffs and hills?. These skills courses come off the back of the very successful NICAS awards that are aimed at the progression of children using climbing walls over several years, not at adults using the hills. These new personal competence courses sound like they will be the here to stay as I have heard rumours even the UIAA are heading down this route. Other organisations are bridging the funding gap by looking at it ‘High-Value Individuals’ who have used their services and have knowledge of their prominence to start contributing to private development funds. These high-value individuals are the tip of the wealth and power iceberg who can drive funding towards an organisation or even an entire sport. So as funding dries up it is forcing people to be much more commercially driven. This was evident when the new director was appointed to Plas Y Brenin the National Sport Centre a few years ago, as probably for the first time they were not a British Mountain Guide but an individual who came from sports development and sports funding background. It will be interesting to see how these private bursary’s to subsidise youth activity or instructor development will work out in the coming years. An every growing issue nowadays is that the route to funding is a full-time pursuit. People who are good at it can run not-for-profits on a rolling basis. Picking up funds for one project and whilst that is running start getting funding for another. The North Wales Outdoor Partnership has been doing this for years now its leader spends most of her time seeking and chasing funding. So whilst it might be women one year, it is the under or unemployed the next, another fund will look to change the lives of inner-city kids and another those rural areas. So maybe there is a need for professional grant finding role within the BMC rather than a commercial partnership manager? Could all of this have been avoided though, as a shortfall of £120000 from Sport’s England is less than a £2 increase in the membership fee to its 85000 members. That is of course if the shortfall includes the circa £30000 it cost the BMC to employ the Commercial Partnerships Manager. It is of course not as simple as that as some members pay more than others and so the BMC has to raise the price as a percentage. So whilst full members get a £2.50 increase; club, student and junior members get a £1. This rise was made at the last AGM, without too much debate. Simon Lee suggest, “Benchmarked against similar organisations and considering the range of work we do I think our fees represent excellent value for money.”, if so why not increase them further? £5 flat rise in membership would raise £425000. There are other alternatives that might be even more controversial, when I was young I used to compete in Judo and I had to be a member of the national governing bodies to compete. The same went for football where I had to be a member and registered player with the Football Association. So maybe the BMC can recruit more from the younger demographic. Offering discounted competitions. Alternatively the BMC could take back ownership of the skills competency courses in climbing and hillwalking courses as arguably the prevue of an awarding body like Mountain Training is for certifying leader, instructors and coaches, not signing off people as competent to hill walk which to the anarchic self taught climbers and hillwalkers of this world seems quite offensive. Another idea that the BMC has trialled successfully was the £15000 it crowdfunded to re-equip horseshoe quarry. Essentially getting the users of the crag to fund for its upkeep. Crowdfunding is really popular and I have seen it used to help young climbers attend the European Youth Climbing series as the cost runs to thousands of pounds that is currently funded by the parents which of course is fine until you think you are potentially excluding all but the middle-class from international competition. Since Climbing made it to the Olympics there has been much debate on whether the BMC will garner extra cash from the performance wing of Sport England. Given the success of Shauna Coxsey, UK Sport is rumoured to be offering up to £630000 specifically for performance competition climbing aimed at producing Olympic medals. So maybe there is no reason to worry, as even a fraction of this knocks the current funding into touch, and who said the Olympics would be bad for our sport? “This is a great result for our top climbers and competition climbing as a whole in the run-up to Tokyo 2020. We’ve had some world-class results in recent years and it’s great to see these achievements recognised through government funding. We look forward to working with the EIS to ensure our climbers have the very best possible chance of medal success.” – Dave Turnbull – BMC CEO. This potential cash cow has a caveat, it can only be spent on performance climbing and then under the watchful gaze of the English Institute of Sport. So maybe it isn’t the answer to the question of funding climbing. It will be interesting to see where the new age of commercialism in seemingly cash-strapped climbing takes us? One of the last BMC summit magazines old us that ‘Big Brands’ were interested in climbers. So maybe the Cola-Coca or Red Bull Youth Climbing Series is in the pipelines? Especially with the Olympic’s looming, I think those businesses that have jumped on board the BMC bus now will have their investment returned in 2020. The thing will be that as a result there will be some unintended circumstances, some people will moan and complain about the big business that is starting to encroach our ‘sacred sport’, whilst others will rub their hands waiting for the profit. Most will be apathetic by-standers at worst or simply pragmatic in their acceptance. The key thing to remember is the BMC and all the other organisations are a million miles away from where climbing is for most of us. There is no talk of losing access to the hills and cliffs we all enjoy, so who cares where the money is coming from right. As long as you still have a BMC recommended rack and a rope or a map and compass everything is good! Mark is an experienced climber who has work with the BMC before, he wrote this because he feels there are questions worth asking as a result of the movement to commercialism. Not that it should be stopped but perhaps we should look before we leap.